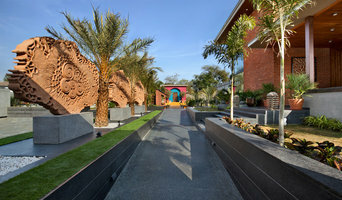 Established in year 2000 by founders duo and principal Architects Ar.Ashish Patel and Ar. Nikhil Patel and lately co-headed by Id. Vasudev sheta and Ar. Nilesh Dalsania. Ace Associates is one of the leading and respected Architectural and Interior Design Firm. Ace associates is a practice of young architects who provide innovative and environmentally sustainable architecture which is driven by function, clarity, sensorial and beauty. We at ace associates are committed to and skilled at serving our various type of clients ranges from institutions, residential, commercial and hospitality. Meeting their expectations and managing the ongoing challenges that a site and its context presents. We take pride in the design and delivery of projects that consistently exceed expectations. We, at +V Architects, love to celebrate the art of architecture. We provide excellent design services in the scope of architecture, interior design, space planning and graphic design. Our aim is to bring something new and unique to every project and at the same time establishing responsive and imaginative solutions to the clients' requirement. We love to challenge ourselves to create something "out of the box" for every design whether it is residential, commercial or retail. Designing and undertaking all kinds of projects from residential to commercial both architectural and interiors. Not attached to any particular style or stigma we like to sensibly strike balance in our design between technology – comfort – functionality & aesthetics. 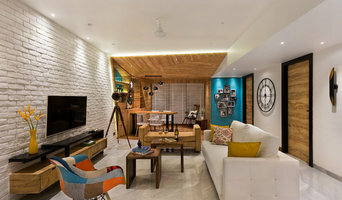 Established in 1990, Kumar Moorthy & Associates is an award winning partnership firm of architects and interior designers based in Delhi and have undertaken and successfully completed a wide range of design works in the diverse fields of residential design and interiors, institutional and hotel design, commercial and office spaces and interiors. The clients for the above include notable industrial groups, private limited companies, charitable and non government organisations, government agencies and public figures other than private individuals. S A K Designs is an Architectural design firm Based in India. Established in 1997 we have successfully completed more then 130 projects so far , in various cities in India and also few in US, Dubai. We work on private luxury homes, weekend homes, Corporate offices, Industrial designs, Landscape designs, Interior Architecture. Specialising on private custom design luxury bungalows and corporate office designs. In the last 8 years b.design24 studio has built up a close and passionate network of designer, manufacturer and craftsmen that all share Bheru’s urge for high quality, unique designs. Because of the diversity of the projects the team of b.design24 studio currently consists of architects, interior designers and product designers. The high level of detailing also requires exceptional manufacturers and craftsmen that were carefully selected and are worked closely with for numerous years. B.design24 studio designs private residences for clients from Surat, Ahmedabad, Mumbai, Bangalore, but also undertakes corporate and commercial projects such as offices, showrooms, and restaurants. The furniture and objects specially created for a project, not rarely attracts large international brands that result in a fruitful cooperation. His background in furniture design is reflected in each of his interiors by the great amount of detailing and customized objects. Bheru travels all across the world to find unique and beautiful materials. DESIGN THOUGHTS Architects has been in the Architectural and construction sector for many years. We have always been giving our clients the best in construction technology. We are continuously learning and innovating to satisfy your growing needs. The number of joyful faces of people staying in our designed buildings speaks about our services. Majority of our new customers come through referrals from our past customers. Architecture: Customized architectural design solutions for Residential, Commercial, Institutional and Mixed Use. Construction: Aspiring buildings with quality and hassle-free approach. Live Monitoring, documentation and updated reports using technology. Interiors: Residential & Commercial Interiors – Modern designs and impressive execution. 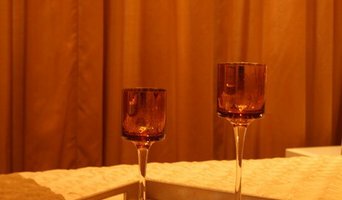 Aesthetic and affordable designs symbolising luxury and class. Project Management: A full spectrum of project management services based on a well-proven formula for delivery. Our frameworks enable straightforward procurement, design, construction delivery, and operation. Our systems provide control, governance, and transparency from inception to completion. 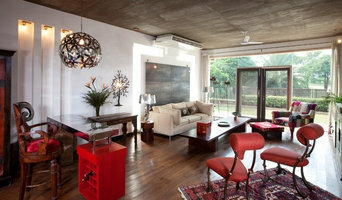 Intrinsic Designs is a Boutique practice headed by Architect Shivraj Patel & Architect Shruti Malani. We expertise in Architecture, Interior Designing and landscape Designing, Serving the wide array of different genres like Residential, Commercial & Hospitality spaces. Based in Anand, Ahmedabad & Rajkot, the practice takes a consistent, holistic approach to spatial design, interiors & architecture and offers a profound understanding and interpretation of the full range of creative possibilities. Our projects are conceived from a core idea & further groomed through various mood boards and idea books that help our clients visualise their entity in much better ways. Materials and surfaces has always been a great strength of ours, hence we know how to manipulate them and achieve the desired frame. Primarily, we try to fulfil client’s fundamental tactile and psychological needs on the level of practicality and comfort. The focus of the firm has always been to put the best foot forward and create a space that would be recognised for its innovation, experience and architectural expressions. This is achieved through simple yet bold language of stark minimalism and a stunning amalgamation between architecture, art and design. Studio Yamini is a design-oriented state-of-the-art architecture Firm founded by Ar. Mehul Shah and Ar. Mitul Shah who had completed their Bachelors in Architecture from Institute of Environmental Design, Vallabh Vidyanagar in 2004. In their quest for implementing their vision into reality, Studio Yamini was conceived in the year 2004. Ever since its inception, it has grown to serve an increasingly diverse and extensive clientele in commercial, residential, retail spaces, corporate offices, educational, healthcare, boutiques/fashion stores, hotels, and hospitality. The Firms’ approach to architecture and interiors is driven by process, rather than principle. It is holistic in nature and includes rigorous stakeholders’ consultation and sound functional and spatial planning. The Firm specializes in crafting creative, intelligent living spaces, which includes inhabitable works of art for the householders. It also believes that each new situation requires a new architecture. Studio Yamini insists on making ‘Function’ the foundation of all their designs. 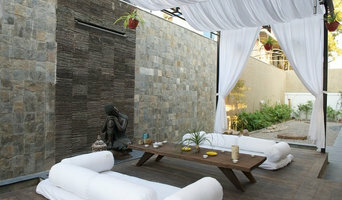 Sensitivity towards the material, people, place and time guide their quest in creating timeless designs. The Firm’s innovative concept enables it to create an optimal standard of living with and inside the structure. The Firm’s architecture is not as an end in itself but serves the needs of all stakeholders. It is the designer duos’ contribution to the field of architecture, their part in making the concrete world a better place to live in. Studio Yamini team is composed of creative, innovative and communicative individuals who share a fascination for their work, and a readiness to become emotionally involved with each project as it develops. Established in 2011, Ignitus Architectural Studio adopts a multidisciplinary approach specializing in the core functionalities of architecture, interior design, landscape design, and furniture design. Over the short span of three years, its multifarious vision has cultivated a strong base for its expansive range of projects, from the quintessential scale of an individual residence and housing scheme to the broad programme of a multispecialty hospital. Within this diverse spectrum of projects, the studio’s work is principled by its values, beliefs and interpersonal relationships that develop in the course of practice. The outlook of the firm is oriented toward a customer-centric design practice enhanced by the sensitivity & effectuality of their conduct. Amongst its many attributes, the key focuses of their design evolve as efficient project management, skill resources and the clarity of ideas. Rooted in these factors, their design philosophy emanates simplicity, modernity, and imbibes a holistic attitude toward aesthetic value. The Crossboundaries is a young firm founded in Vadodara, positioning itself at the intersections of interior design, architecture, graphics and product design. Harsh Boghani, founder and principal architect-designer sees these cross-connections as opportunities for constant innovation and as the studio’s name suggests, a relentless pursuit for “pushing the boundaries”. Apart from engaging with architecture and design, The Crossboundaries seeks to provide a viable platform to artists, visual designers, sculptors and varied creatives to work and grow together. The firm in its second year itself won the National Award for Excellence in Retail Interior Design by IIID, Nominated as one of the top 50 Generation next designers to look at in 2017 and won the FOAID (Future of Architecture and Interior Designers) Gold Award the same year. Designing and building go hand in hand at Sudaiva Studio. We take pride in our ability to seamlessly translate our design intent into real world built forms. Every aspect of our designs are informed by our experience of the construction process - of a building, its interiors or a landscape. Usine Studio is a design consultancy firm that offers services aimed at the end to end design of spaces. We have a very contemporary outlook towards design and believe in working with clean lines and simple forms. We believe that any space should be a reflection of its occupant's lifestyle. Because of this belief we are dedicated towards making spaces that not only look good, but work which is why we place a lot of stress on functionality and context. We are dedicated to innovation and creativity and are continuously looking at ways of experimenting with materials in our designs. One of our key strengths is our meticulous attention to the execution of our designs so that our clients are assured of the highest quality. How do I find the best architect for my home design or renovation project? When building or renovating your home, you don't simply hire an architect or building designer — you build a relationship with them. Be sure you chose a home architect who will be involved in all phases of the design process, from the initial concept to the completed construction. Architecture is an incredibly technical profession and one where getting things wrong can literally put lives at risk, so ensure you hire a professional with a valid license or an architectural firm to maintain high quality and standards. Your next consideration will be architectural style. Some residential architects specialise in designing traditional homes or farmhouses, others in designing modern replicas of traditional homes. While a few have a knack for imagining bolder, more futuristic architectural design that incorporates the latest technology. Home construction and renovation often have a preset budget and hence it is important to understand how much architects charge. While there is no set payment structure, independent architects may charge differently from architectural firms. Architects sometimes choose to calculate their fees on the basis of a per square foot rate. In rare cases, especially with smaller projects, architects may choose to ask their clients for a fixed fee. Make sure the total figure and payment schedule is agreed as part of your contract, particularly if you are trying to accurately estimate the cost of building a house. Find a home architect on Houzz. Narrow your search in the Find Pros section of the website to architects. You may also look through photos projects to find building designers who have worked on a project similar to yours.